Significant state official who gained deserved respect and great influence all over the world passed away. Heydar Alirza oglu Aliyev's effective activity had been devoted directly to the common history of our nations during many years. He established foundation of strategic cooperation of Russia and Azerbaijan, presented great contribution in strengthening of our friendship and mutual understanding. His passing is an irrevocable loss for Independent States Union, the whole international union. Heydar Aliyev was a well known personality in the post soviet space. There were numerous opinions about him, but when I acquainted with him personally and cooperated with him, my opinion changed cardinally. I understood that he was very convinced, wise, able leader, a genius politician. Frankly speaking, Azerbaijan is happy that the state of Azerbaijan was headed by a politician of European and world scale. He was, on the one hand, internationalist, and on the other hand, a patriotic of his Motherland. 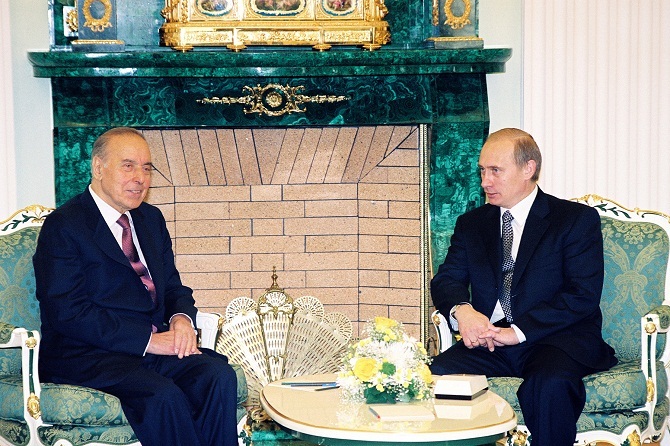 Heydar Aliyev was at the same time a great friend of Russia. Death of this great man has grieved all of them who knew him, including me personally. We had very sincere, personal relations.